This Air Touch Sponge Duo features two makeup blending sponges in special sizes: for the cheeks and the under eye area, both creating an airbrushed, flawless finish! Use it wet or dry to get ultra-smooth coverage in a flash with your favorite complexion products, cream blushes, highlighters, contours, and concealers. 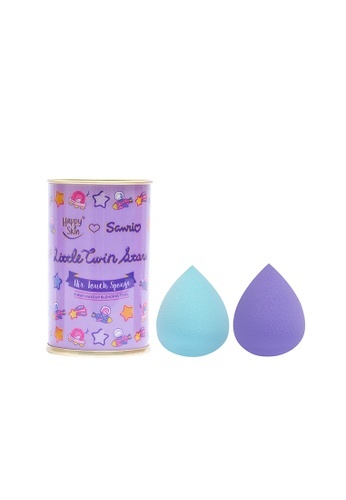 Can't find Sanrio Sponge Duo 3-Way Makeup Blending Tool in your size?